Participating in Mellow Yellow Monday. oh, so this is how thistles look like when they fade--still interesting. and i love the bird you captured! Such a pretty bird and the fuzzy thistles are pretty cool too. 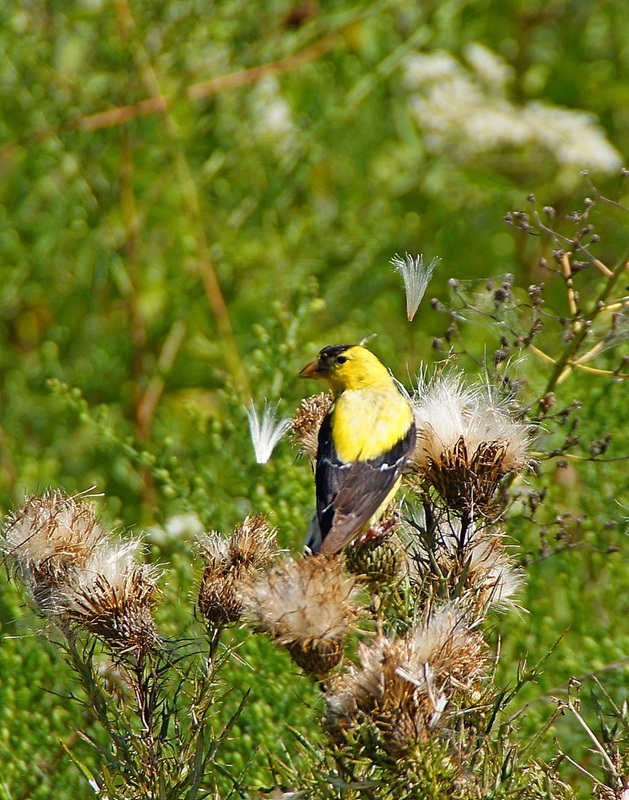 Calling by from Mellow Yellow Monday, a great capture of the Goldfinch. What a sweet little one, and such a beautiful composition. That is one perfect shot!